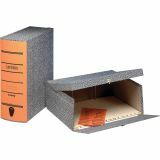 Pendaflex Alphabetic Box File - Box File keeps important correspondence safeguarded. 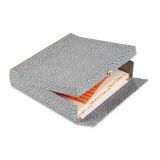 Moisture-resistant cover protects from spills. 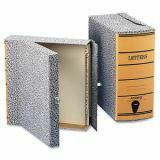 Design also features a hinged lid, brass-finished suitcase-style latches, and curved spine with pull tab. Storage case includes 16 A-Z dividers for categorizing.